“To win in the field of Cinema, first you should know about cinema. Then, you should learn the basic things needed for the department, in which you are interested, like Acting, Direction, Cenematography etc. For that you should study in the institutes, which offer those courses. Otherwise, should work and obtain experience for many years as an assistant to the people already working in that department. If you want to stand for a long time in any one of the departments, two things are very essential. One, a clarity in film script! 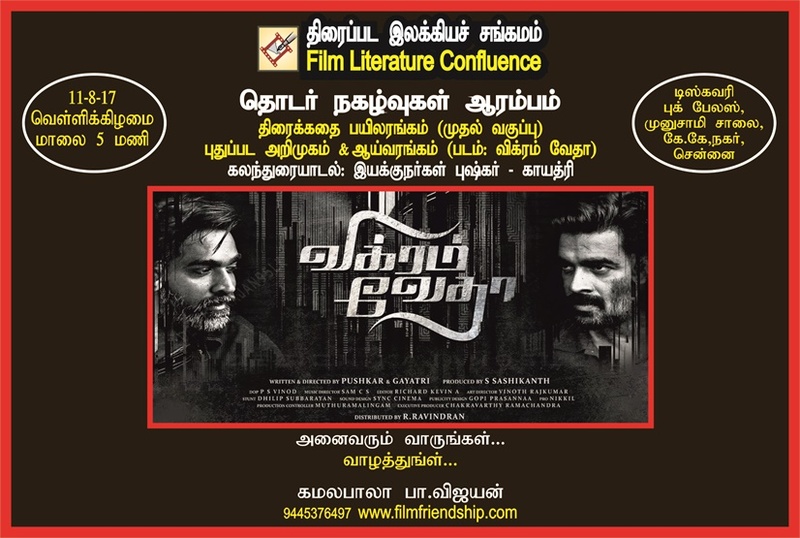 Two, a contact with everyone in the film industry! To participate in the continuous programs..
And to learn join the workshops. 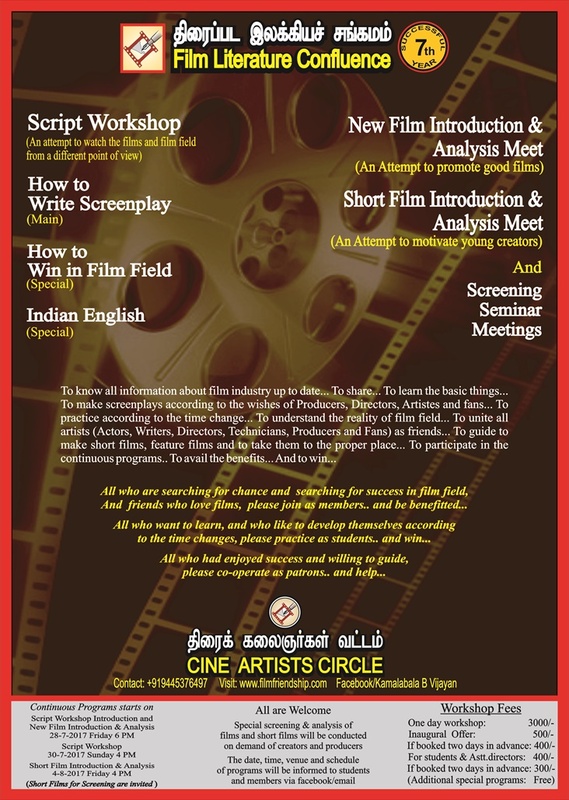 To enjoy cinema, you should know about scripts and script writing. To win in cinema, you should learn how to write screenplay. There is no need to be a writer or should become a writer! Even you are an artiste (actor/actress), director, technician or in the production side, you should learn script writing to perform in your department. The lack of script knowledge among most of the film people now a day is the main reason for failures of many in the industry. 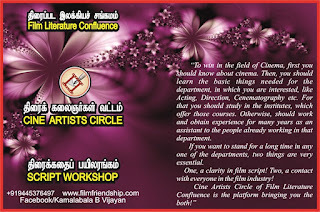 So the Film Literature Confluence starting Script workshops under Cine Artists Circle. 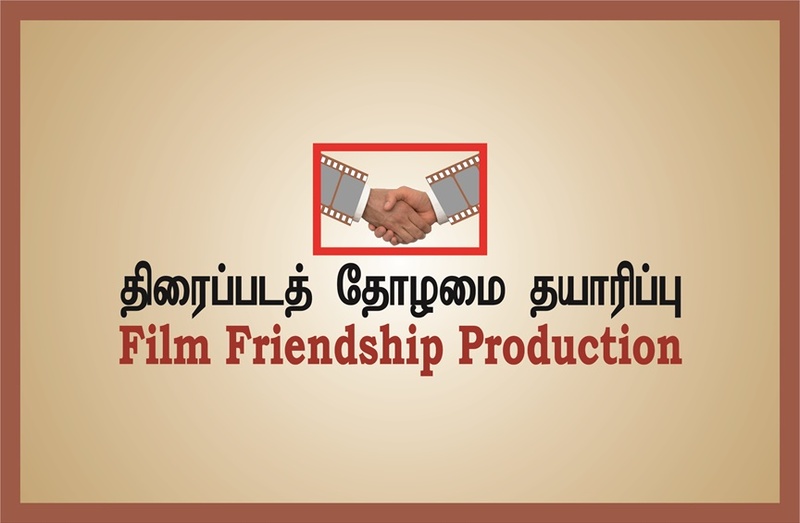 This is really a good beginning in the film field. 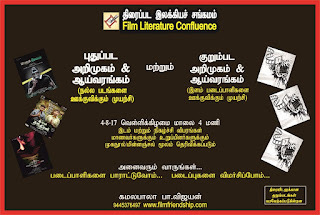 So many courses and workshops are going on in the film world to teach script writing and direction. 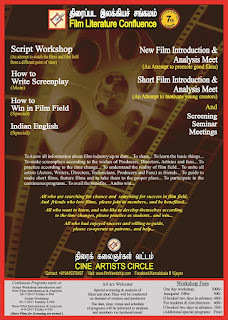 This Script workshop of CAC is exclusively for script writing. It is entirely different from other classes or workshops. 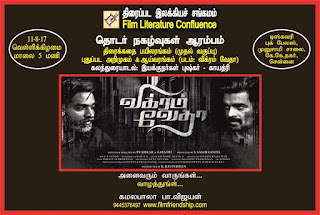 It is a new attempt to watch the films and film industry from a different point of view. It is really from my point of view and I am proud to announce that I am the ‘First Screenplay Specialist in the world’! 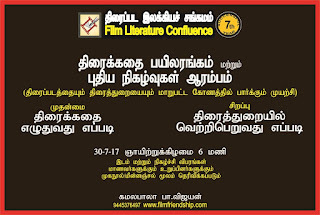 I had been worked as an assistant director, writer, translator, ghost writer, co-director, censor script writer etc in the film field for the last twenty two years. I wrote more than ten books in Tamil/Malayalam and English. 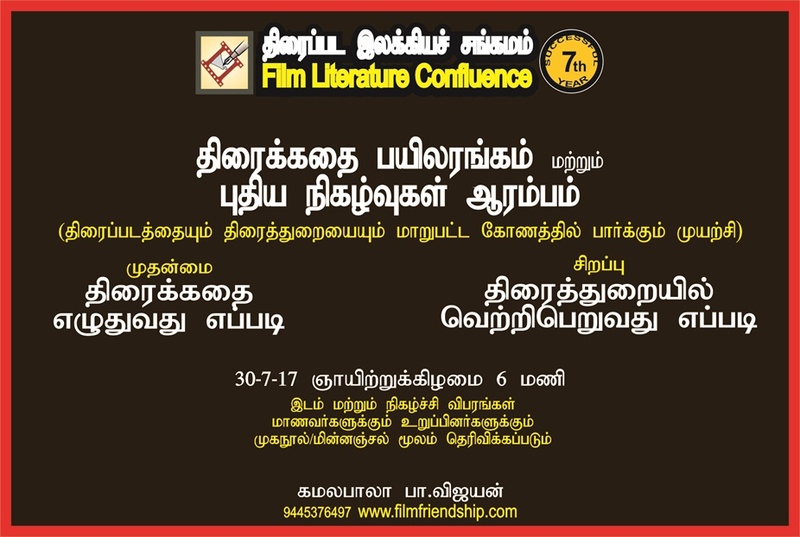 This workshop will be mainly based on practical screenplay, not theoretical. Anyone can join as a member of Cine Artists Circle by just paying a donation. The well wishers, who donate more than 5000/- will be respected as the patrons of the circle. The members can be join as the students and attend the workshops by paying the fees as announced. 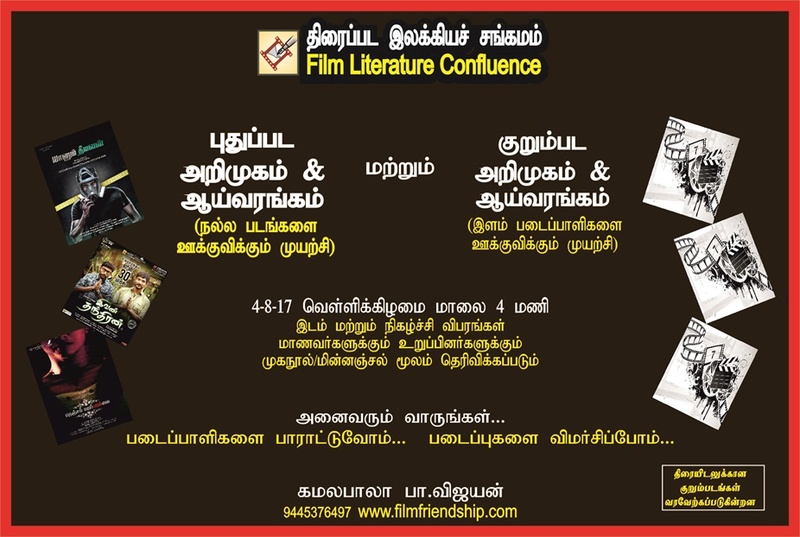 All the members , students and patrons can attend the special programs conducting by Film Literature Confluence. Students only will be allowed for the workshops, for which they paid fees.